We offer tree removal & trimming service in Grand Rapids, MI. We are all licensed & insured with a great crew with unmatched work ethics and personable. The tree service we provide will be high quality, we can take down difficult 100 ft trees, emergency tree removal at rapid pace, tree cutting over power lines, & give you quotes at no obligation. We're ethical company that is local to Grand Rapids and committed to giving you best tree care in Western Michigan: Kentwood, Wyoming, Holland, Grand Haven, Coopersville, Michigan. Very Experienced: We have a lot of experience and we're great at what we do. Tree Service is ranked as one of the most dangerous jobs out there so its important to pick a company with at least 10 years experience. Licensed, Insured & Bonded: This means the homeowner is protected from any liability should an accident occur. We train our crew on strict safety guidelines, & we do whatever it takes to protect your property and our staff, even if it means bringing in more equipment for a project such as cranes. Our Reputation: We have built a strong base of loyal customers in Grand Rapids, if you want to hear some cross references that's no problem with us. Just give us a call to find out what past customers of ours to contact. Affordable Pricing: We always quote a fair price based on our experience and knowledge in what it takes to get the job done properly. Call us today to get a Free Estimate, you may be pleasantly surprised at our great rates. We have been local to Grand Rapids for many years and care a lot about this community. Many of us have children that go to the public schools here and our company gets involved in charity and other public events. We are proud to call this great city our home. The owner of this crew still works for the fire department on the side, and loves serving his community. Tree service is another passion because we are group of guys that's more cut out to be out doors with t-shirt and jeans. We grew up as kids working for tree service companies during the summer, learning from a young age what it takes to be an expert tree climber and tree cutter. We never lost that joy for learning to cut down trees safely and efficiently, and since we started our own tree care business in Grand Rapids, we continued to improve our processes and offer high quality service such as being able to remove difficult trees that a lot of the young companies will walk away from due to lack of skills & equipment. Many of our returning customers tell us that they feel that they can trust us because of our great communication over the phone and in person, as well as our great crew that is both friendly, knowledgeable & highly trained and skilled. Just from the way we carry ourselves and finishing every project in timely manner to the very end including cleaning up after ourselves, will hold testament to the fact that we are true professionals that take our jobs very seriously and care about your total satisfaction. 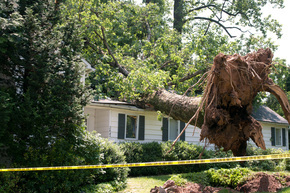 Why it is important to pick a good Tree Service company? Tree service ranks as one of the most dangerous jobs in the world, second only to crab fishing. This is why it is critical for home owners to be wary of tree removal companies that quote significantly lower than some of the more well established companies in Grand Rapids like us or Muller Tree Services and West Michigan Tree Service. Some tree removal really do require more high-end equipment the little small companies running around with just a chainsaw simply can't handle safely. You also want to make sure the company is licensed & insured, or the home owner could fall liable if an accident was to occur. When we are talking about a job where its sometimes required for a full sized adult to be up in a tree 100 ft up with safety rope and a chainsaw, if proper safety precaution are not utilized consistently, the potential risk for life threatening accident is enormous. Our company is extremely strict on safety. When we hire people how cautious and safe that person is working is how we primarily decide who gets to work with us. We would much rather have cautious, slower paced individual than a fast paced, less cautious tree climber or cutter any day. We can train a safe worker into an excellent tree trimmer & remover because what we value as a company is quality of service for the customer not how much money we can squeeze in 1 day by going fast. We care about our reputation and to uphold high reputation we must have safe workers that are willing to pay attention every minute they are on the job cutting trees down. This sort of attention to detail and care is hard to teach someone that always wants to rush things. Of course we also use all the safety tools regulated by the ISA and other organizations, using the latest & best techniques in advanced tree removals & cutting. Prevent mountains of dead leave to rake in the fall: We also dread the activity of raking leaves in the fall, without realizing it your workload is increasing each year and it becomes like a second profession in the fall time for homeowners. By having some professionals trim your trees up nicely so that they heal quick & remain healthy. We can prevent the heavy load of raking in the fall while keeping the tree in a more aesthetic shape. Fruit trees can yield more delicious fruits: Did you know that proper pruning of apple trees in the late winter can actually lead the tree to a more explosive growth in the spring? Also taking off extra branches will ensure all the nutrients get driven to produce the fruits which causes the tree to yield more delicious fruits at higher volumes. We are happy to assist you with Emergency Tree Removal in Grand Rapids 24/7 365 days of the year. When you are faced with storm damage and need fast tree removal asap, please don't hesitate to give us a call at 616-365-5009. We take these calls very seriously and we'll take care of it immediately for you. The owner of this company works for the Grand Rapids fire department so we are very well versed in emergency situation. We come to your property pronto with Grand Rapids' best tree removal crew with over 10 years experience. You are in good hands for all emergency removal needs. We also offer stump removal. We use industry's leading stump grinders that gets the job done quickly. You can choose to keep the free mulch for your gardens or we can have us haul it away for you. We clean up after everything so you are left with just a nice patch of dirt to replant grass. When the stump grinding is over you will see a big difference in the spaciousness of your yard. Stump can be a hazard if you have little children that play in the yard, it can also be a source of insect, pest, fungi & parasites that can harm other trees & plants in the area. Not to mention removing the stumps will make your lawn care much easier. We are Grand Rapids Best Tree Service Company since 1989! We bring you quality tree service at affordable rates in Grand Rapids, MI! With over a decade of experience, there is no job we can't handle!! We have the crew & the equipment with strict emphasis on safety. We are group of guys passionate about giving customer's high end tree removal & care that gets repeat customers & word of mouth referrals. Let us show you what Grand Rapids Tree Removal & Trimming is all about! Our goal is to become the biggest Tree Service company in West Michigan that has the highest level of customer service out of any company out there. We are committed each and every day to provide the finest customer service to our clients by always making sure that we are increasing our skills and proficiency to handle any tree service job out there in Grand Rapids. We have great compensation for our crew so that we are able to get the best group of tree cutters, climbers & ground crew there is. Our crew excels what they do because each one of their pay and success is tied to getting more business which only come as a result of doing a fine job for our clients so that they will call us back. The owner of this company still oversees majority of the projects and we have several seasoned veterans that are team leaders to ensure that the expertise level on every job remains one of the highest for tree removal in all Rockford & Forest Hills. 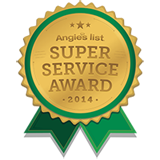 By showing honesty, integrity & great workmanship we hope to be your go to Tree Service in Grand Rapids for the next 20 years. Because we have big goals for our company it drives us to continually improve our service and make sure that our clients receive top notch service. We continue to invest in new equipment that allows us to get the job done faster and safer. So if you want a premium tree removal & trimming or even the difficult job that other companies will walk away from, we will always take your call and we are ready to serve you. Our mission is to be the most dependable, reliable & safe tree removal & trimming company in West Michigan.